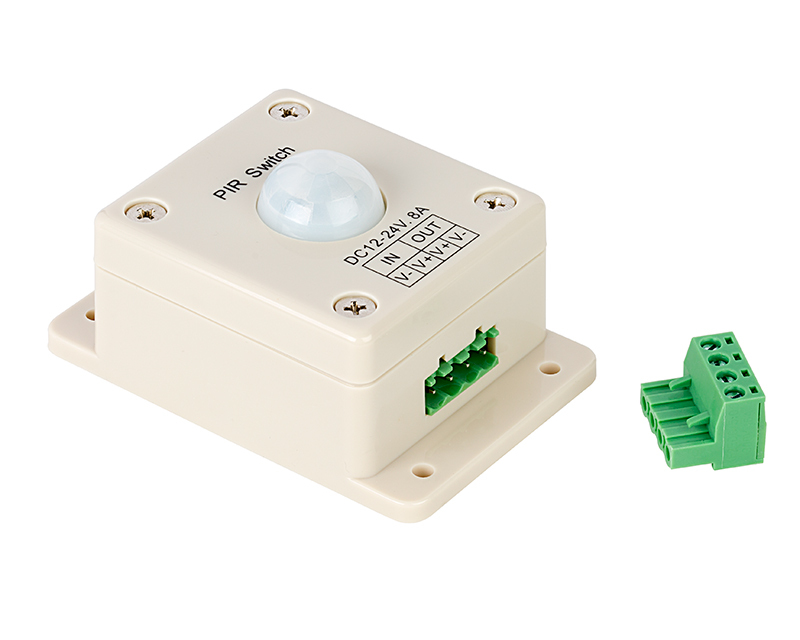 This PIR Sensor automatically powers on connected 12 VDC or 24 VDC LED lights for 10 seconds when human motion is detected. Designed to save energy and prolong the life of your LED lights. 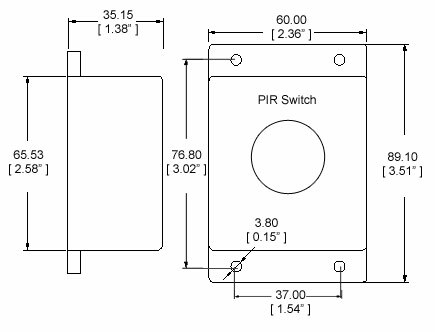 Motion detection range is within 15' of the PIR sensor. 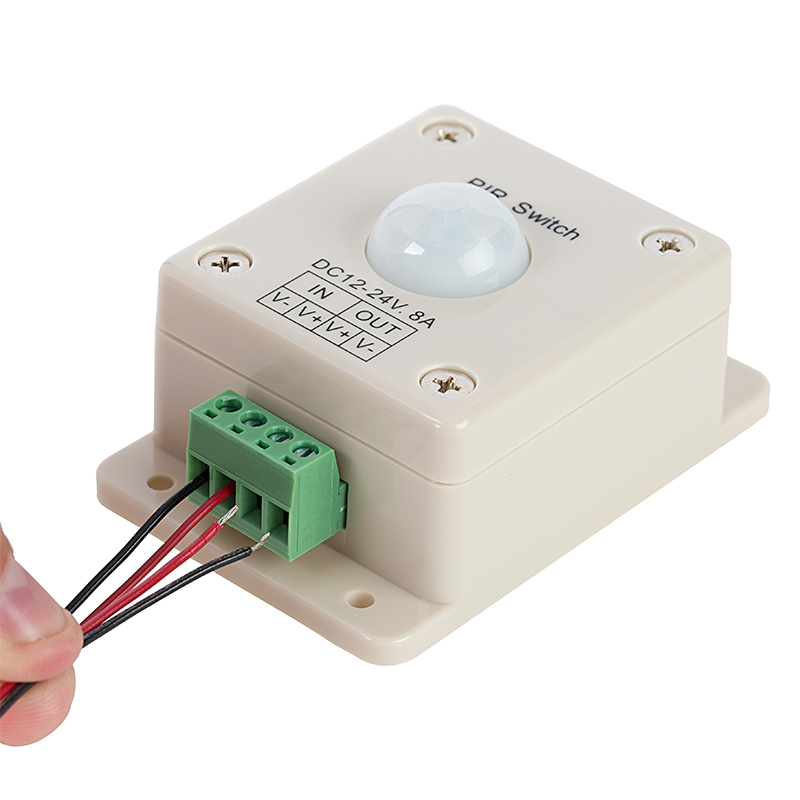 The single-channel sensor has an 8-Amp maximum load and operates within a 12-24 VDC range. Price for each. 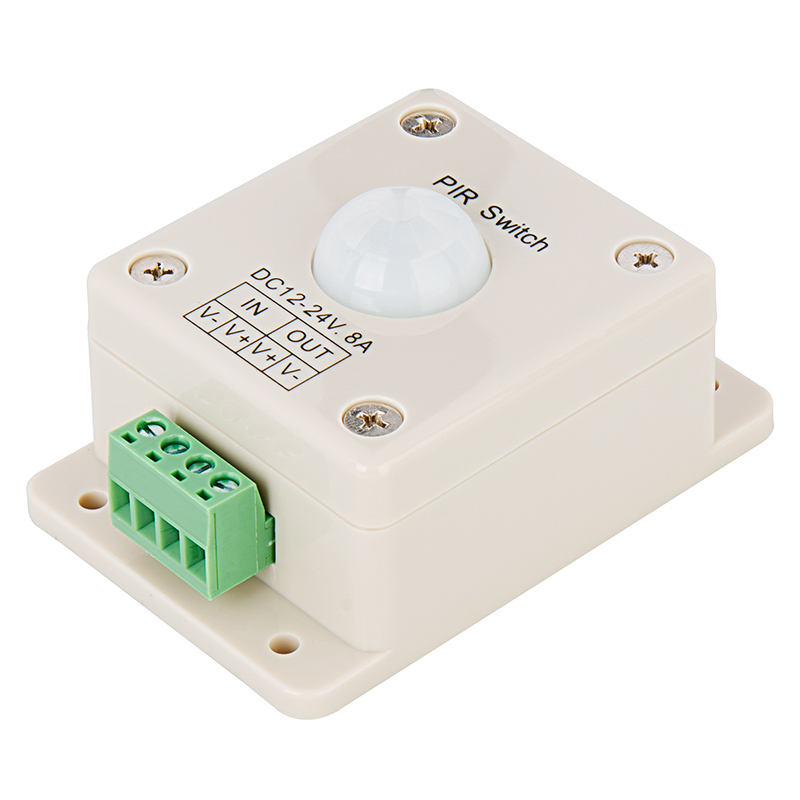 Sensitive passive infrared motion sensor that will activate our 12 Volt LED lights only when a thermal difference is detected from 15 feet, ex. people or animals passing by. Takes approximately 1 minute to adjust to environment once installed properly. jason Hog hunter at night. I use them hooked up to two LED red brake lights attached to my corn feeders. 150 yards away my trusty AR.308 and myself are wacking hogs all times of the night and giggling the whole time. All hogs donated to local soup kitchen.